Red sport car rides recklessly on the roads of the city of cars, giving troubles to its other inhabitants. Police car chases the violator, but it is not fast enough. 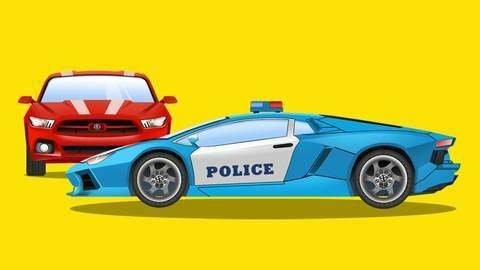 It’s time to call police’s secret weapon – police sport car! Watch full episode of this cartoon for children online for free at SeeZisKids.